Owly is the most adorable owl in the entire world. He is also the star of a comic series and two children’s books. His creator, Andy Runton, is a really nice guy, and I’ve had the opportunity to meet him at several DragonCons. He always does “Owly As” portraits and I’ve got a small collection. I’ve got Owly as Destro and Epic Fantasy! Owly. 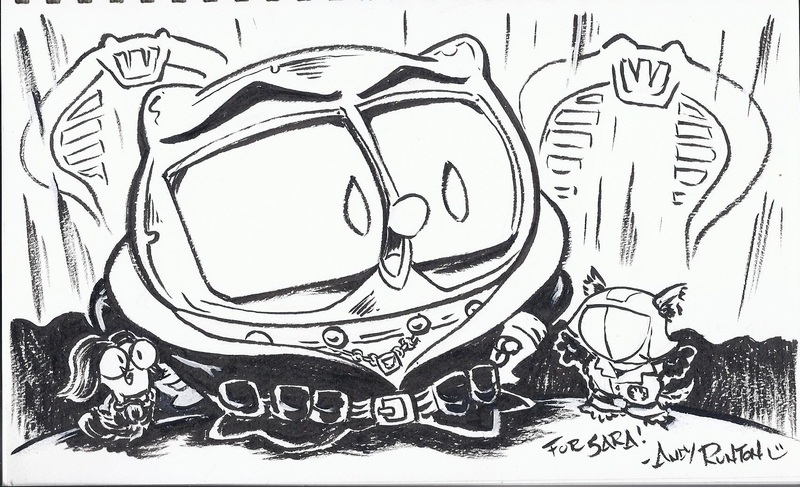 Somewhere, in another sketchbook I also have Steampunk Owly and Owly as Raccoon Mario. Owly stories are about friendship and hope and learning. They’re all amazing and you can’t go wrong with any of them. The two hardcover children’s books are in color all the way through. The trade paperback collections are black and white. 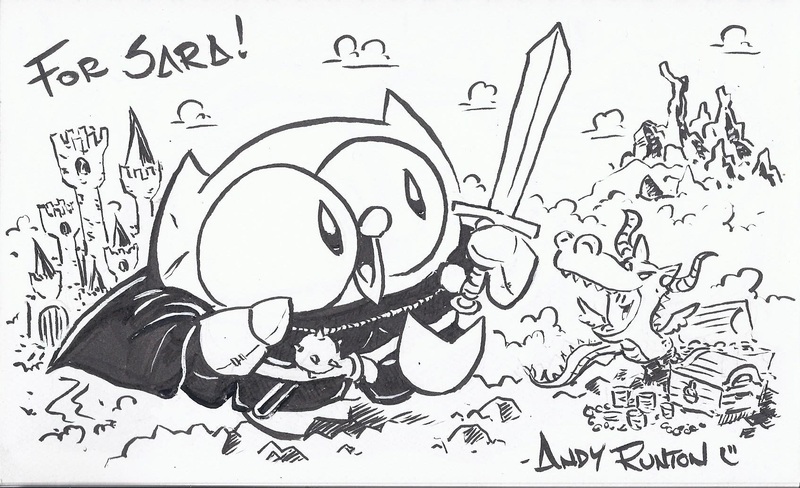 If you’re curious and you just want to try out an Owly comic, Andy has several things up on his site. He’s done several Owly comics for Free Comic Book Day and he’s got those as downloadable PDFs. There is no age limit on the Owly books. I buy them for my best friend’s children and for myself. I’ve never been disappointed by Owly. 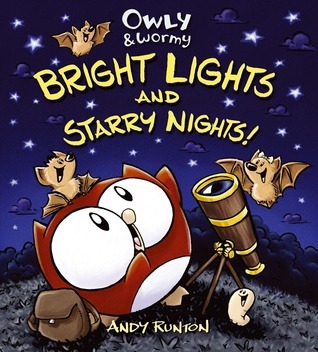 I’m technically cheating with recommending Owly for a What to Read, because all the Owly books are wordless. They’re fantastic though, because anyone can understand Owly’s stories. It doesn’t matter if you can’t read yet or if English isn’t your native language. All of those barriers are gone. Now, don’t get me wrong, I love words as much as the next ten people, but sometimes, a picture really is worth a thousand of them.